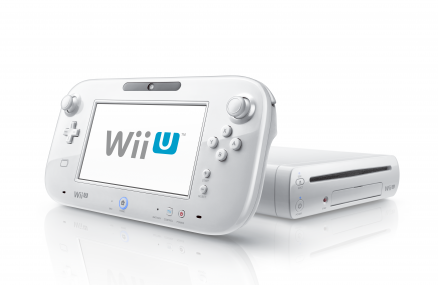 At Eurogamer Expo, there was one thing you just couldn’t escape: Nintendo’s Wii U presence. With a massive booth, full to the brim with awesome games, it’s quite clear that the next generation of games is finally here. Whilst you can check out what we thought about the games themselves over here, it’s time to take a look at our preview of the Wii U hardware. I played games using both the Wii U tablet controller and the normal Wii Remotes. The first thing you notice when picking up the tablet is just how light it is. It’s also got a very plastic feel to it – similar to the Wii remotes: either a positive or negative thing, depending on how you look at it. It does help to make the console feel more like a toy than any of the other consoles, which is certainly a benefit for children. Either way, it’s good to know that it’s not going to be tiring to play for extended sessions. Better yet, the controller is completely comfortable in your hands. It’s just the right size, and buttons are easily reachable (although I didn’t end up using many buttons). The triggers on the back are comfortable and responsive, within easy reach even when you’re touching the screen. It will take some getting used to in order to find the best way to hold the controller and use the screen, but it’s definitely not going to be too hard: another plus for the console. One thing I didn’t get to try were the joysticks, but their positioning seems fine, although resident zombie expert Jake says that they were a bit too unpredictable. nd fast, although it doesn’t come close to matching one of Apple’s displays. The other thing of note is the internals. Whilst the console itself is unassuming, it packs all the necessary power. Games on it looked very, very good: it was quite shocking to play an HD Mario game that looked glorious on a large screen! From the games I’ve played, it’s difficult to say whether the console is more powerful than the Xbox 360 or PS3, but it’s definitely as powerful as them: at the very least. In reality though, it’s the games that makes the Wii U shine. But from my time with the console, it appears to have no fundamental flaws, and works a lot better than you might expect. It remains to be seen how good the controller’s battery life and cameras are, but from what I’ve seen it’s clear that this is well worth a purchase.